Vast, exotic, wild and infinite in its beauty. 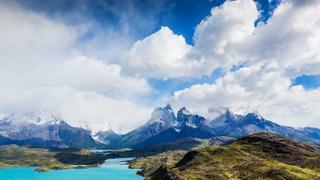 That's how Patagonia was described by the explorers who arrived here almost 500 years ago. 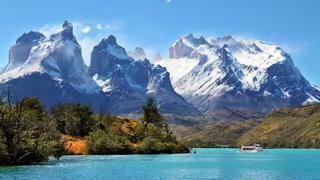 For a real once-in-a-lifetime adventure, exploring the southernmost extreme of the American continent, navigating through countless sea fjords and channels and crossing the famous Straits of Magellan on a superyacht is unforgettable. 1. Puerto Natales to Bahia Isthmus Cruise meandering channels through the steep-sided mountains of Canal Smyth to Bahia Isthmus, rich in animal life with dolphins and birds. Canal Smyth is littered with shipwrecks providing interesting cold water diving. Or go for some kayaking, stand-up paddleboarding, photography and trekking. After a busy day feast on a gourmet dinner on board. Vast, exotic, wild and infinite in its beauty. 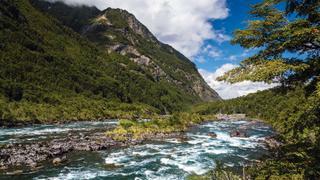 That's how Patagonia was described by the explorers who arrived here almost 500 years ago. For a real once-in-a-lifetime adventure, exploring the southernmost extreme of the American continent, navigating through countless sea fjords and channels and crossing the famous Straits of Magellan on a superyacht is unforgettable. Cruise meandering channels through the steep-sided mountains of Canal Smyth to Bahia Isthmus, rich in animal life with dolphins and birds. Canal Smyth is littered with shipwrecks providing interesting cold water diving. Or go for some kayaking, stand-up paddleboarding, photography and trekking. After a busy day feast on a gourmet dinner on board. In the morning, cruise along the Alacalufes National Park on the way to Puerto Profundo, a wide, sheltered basin that provided protected anchorage. Head south-east towards Isla Carlos III along the Straits of Magellan. 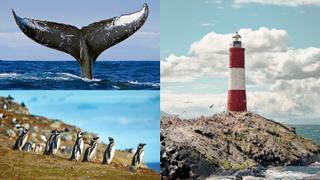 Carlos III Island is home to the Parque Marino Francisco Coloane, the first and only Chilean sea park created to preserve the humpback whales and a great place for whale watching (December to April). Cruise along in protected waters seeing waterfalls, penguins orcas and sea wolves. Kayaking and trekking on Carlos III Island will have you ready to unwind in the yacht's spa tub that evening. As the yacht cruises towards Seno Chico, it will leave the Straits of Magellan and enter Canal Magdalena, which leads to Canal Cockburn on the northern side of the Alberto de Agostini National Park. Glaciers may be seen on the rocky slopes towards the fjords. 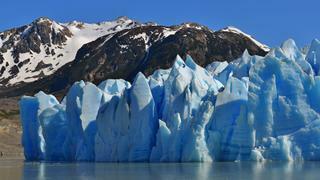 One of the best known is the Glaciar Marinelli, the largest in the area. High and steep cliffs surround the beautiful inlet of Seno Chico. Caleta Gomez marks the entrance to the "glacier alley" as several larger glaciers are found on the southern side of the Alberto de Agostini National Park. 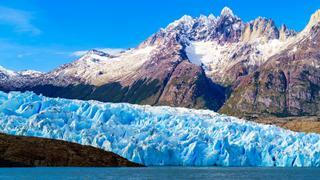 Much of the landscape of the park has been sculptured by glaciers, creating amazing scenery. Take a helicopter tour for a bird's eye view. Then enjoy a sumptuous dinner on board. Leaving Caleta Gomez, the yacht will enter the Paso Darwin named to commemorate Charles Darwin. Get ready for non-stop glacier sightings as you wind through inlets and fjords and stopping in anchorages where you can see them up close, the colours and the sounds of the glaciers are impressive! 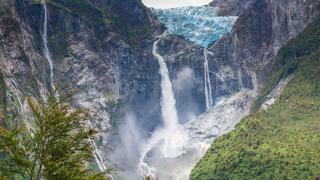 Within range of a small boat trip from Caleta Olla and a short hike is the Glacier Hollanda. Enjoy a full day of glacier- viewing and trekking before relaxing on board tonight. On the way to Puerto Williams lies the Yendegaia National Park, an amazing piece of truly wild nature at the end of the world. Take time to trek on shore. Arrive in Puerto Williams, the southernmost city in the world and also the closest continental city to Antarctica- with good weather, yachts can navigate there in about 48 hours. Or disembark here and catch a charter plane bound for home.